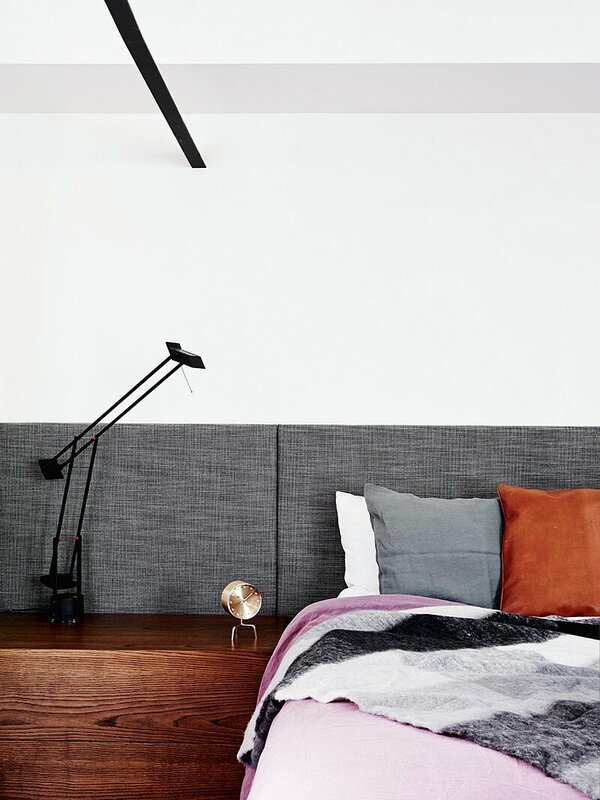 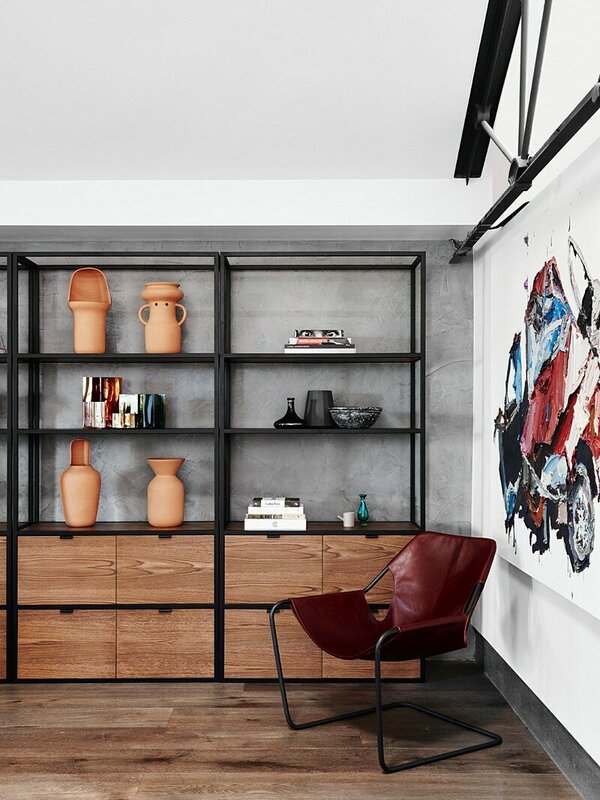 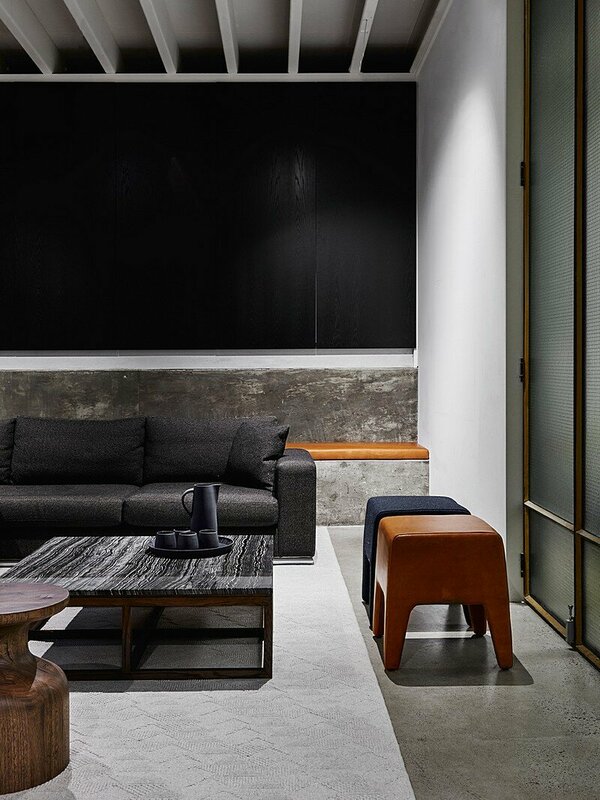 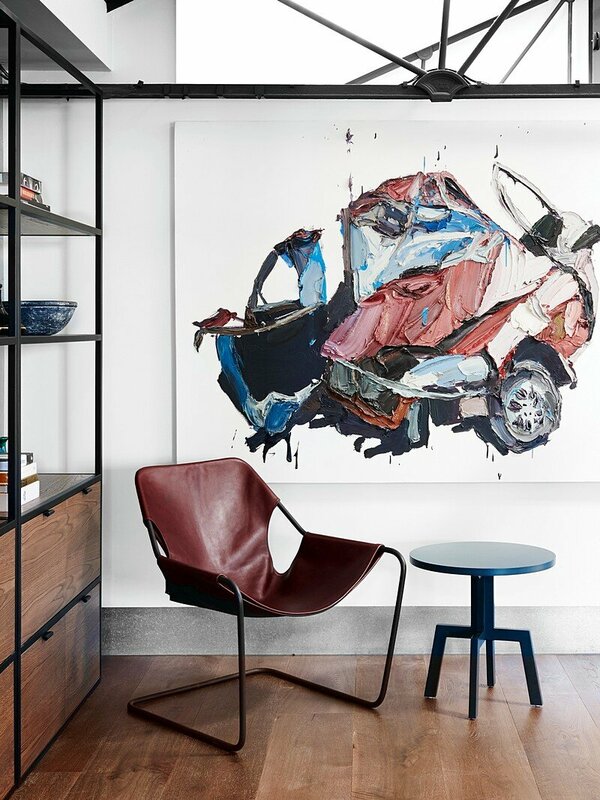 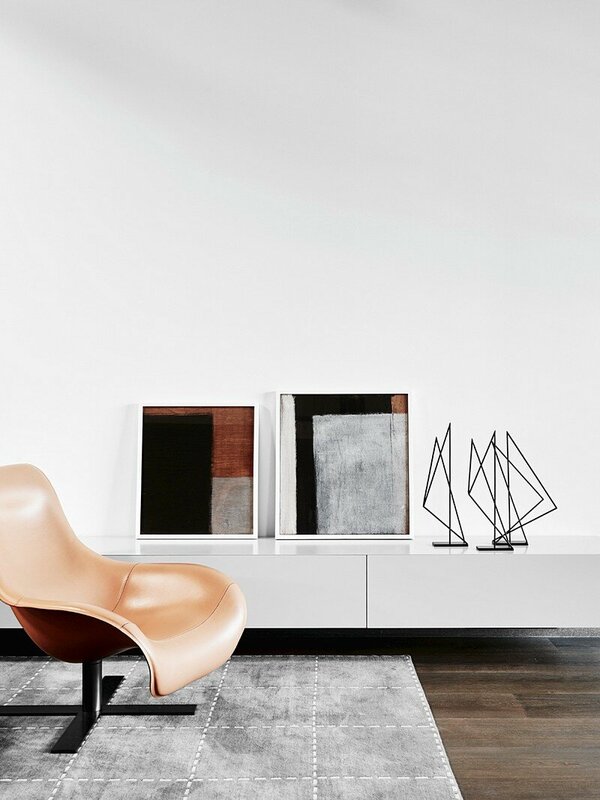 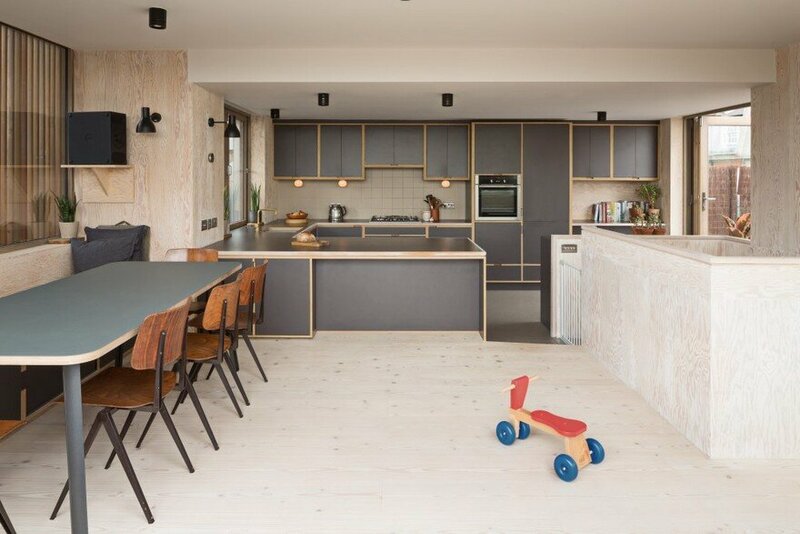 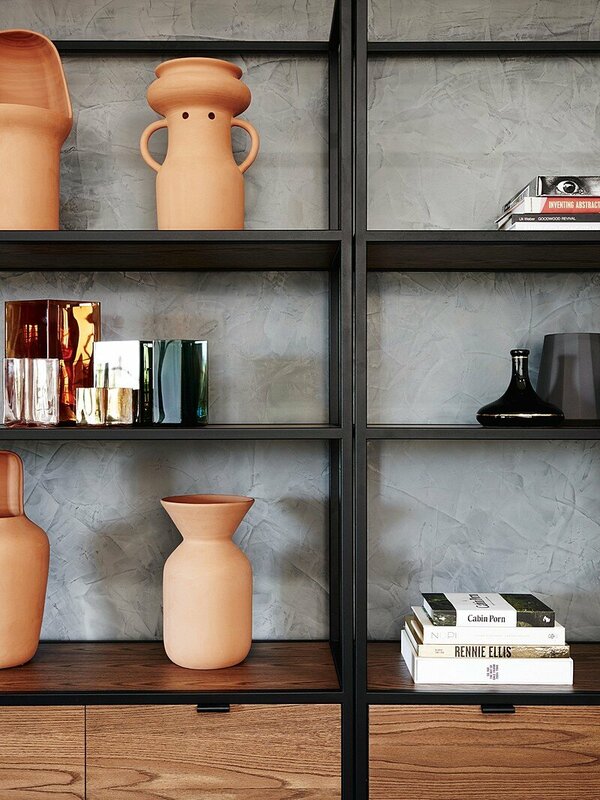 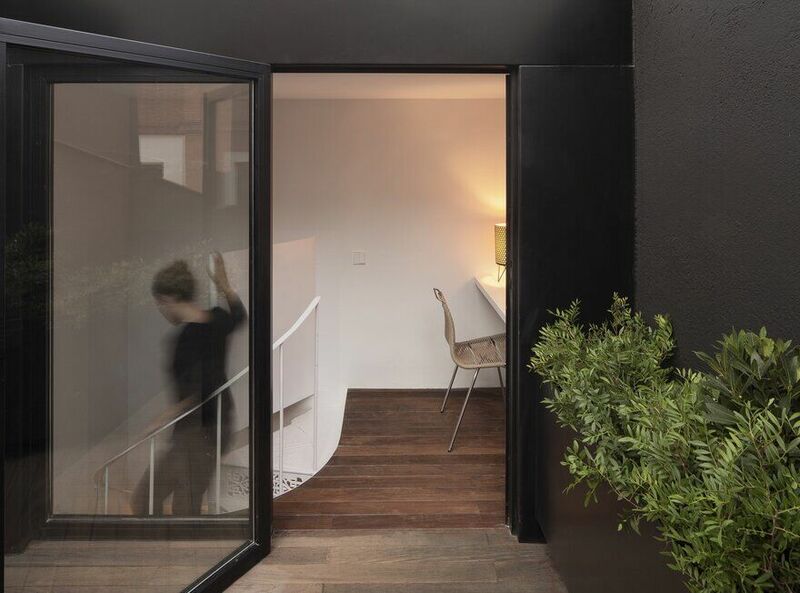 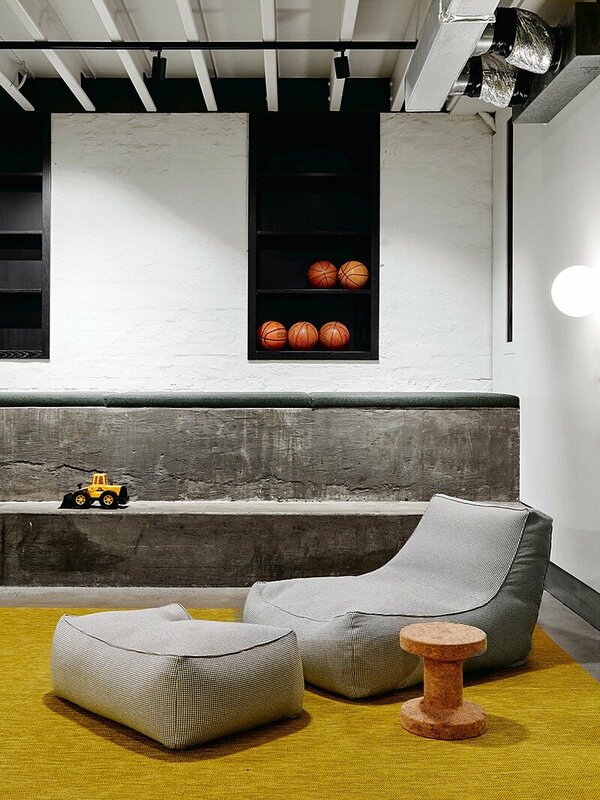 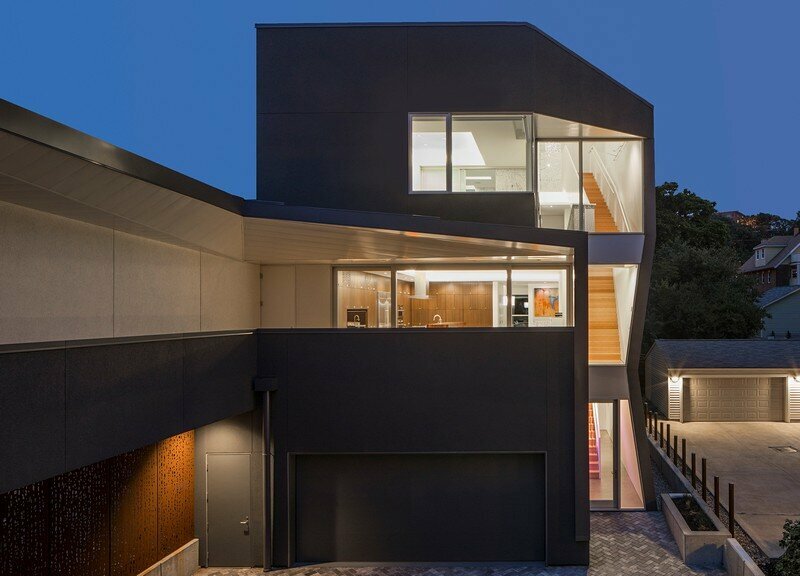 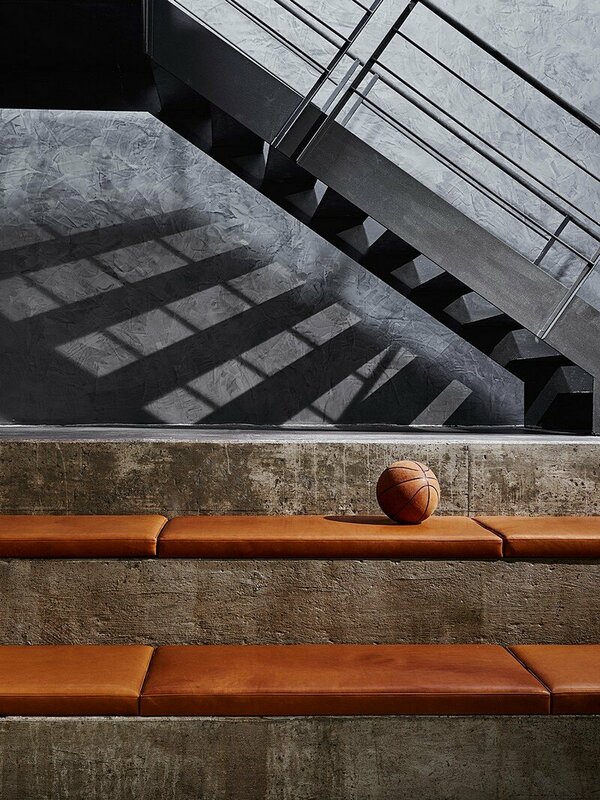 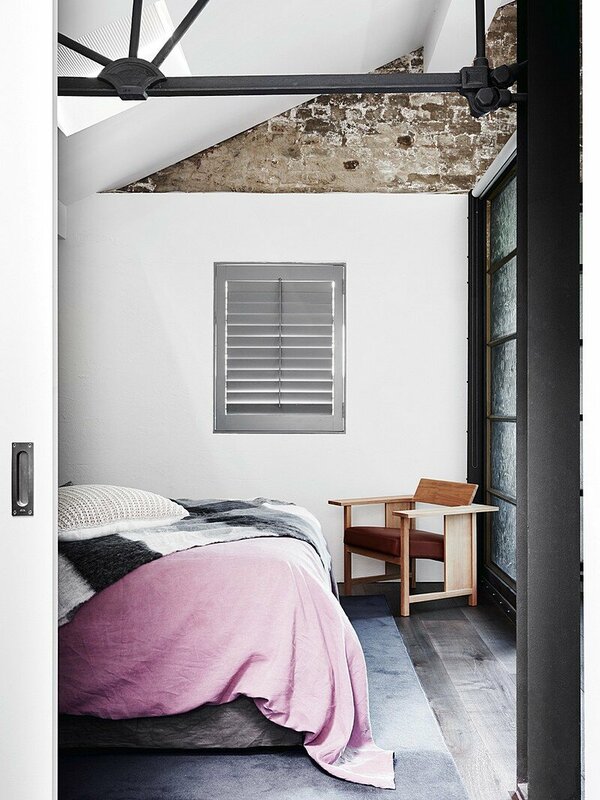 Richmond Residence was designed by We Are Huntly, an interior design studio based in Melbourne. 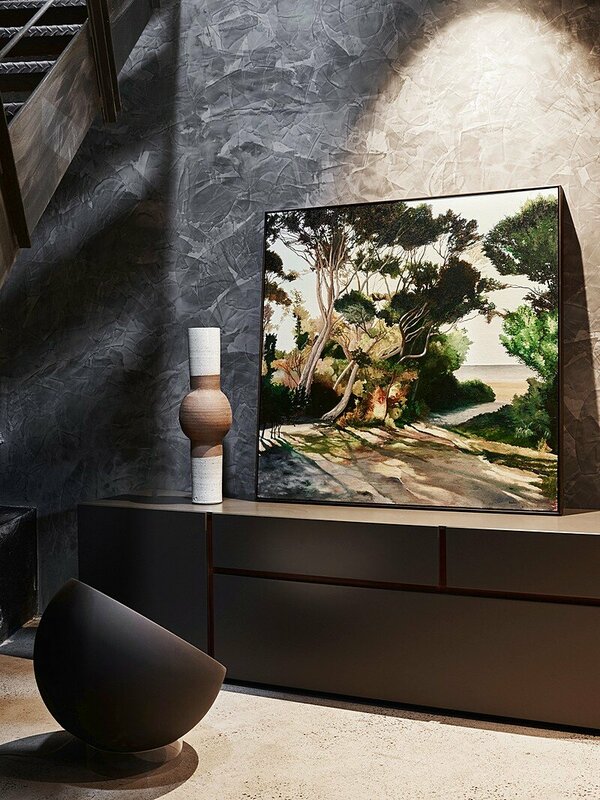 With an appreciation for fine art and quality, We Are Huntly completed the furniture selection and joinery design to complement our client’s luxurious space. 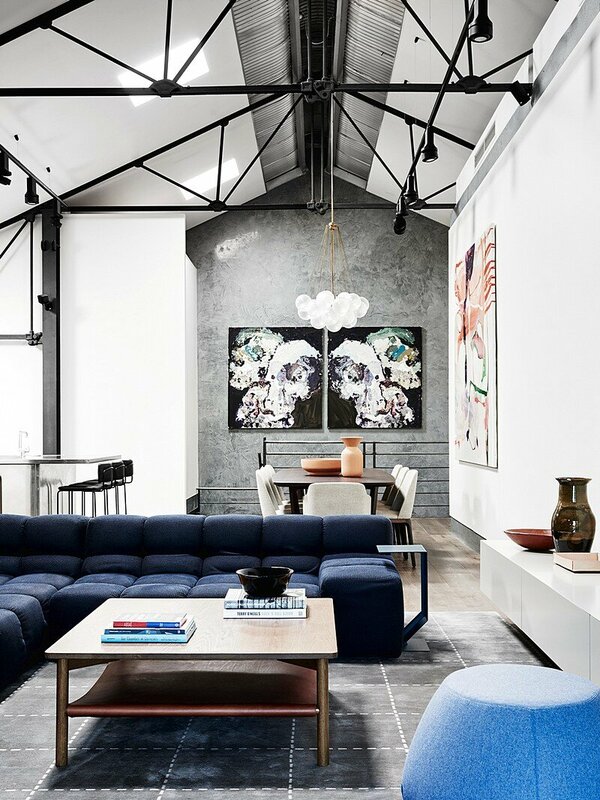 Existing exposed ceiling trusses and textured glass made for an intriguing canvas, where large, over scaled furniture pieces, such as giant floor lamps and a sculptural sofa were chosen to enhance the space. 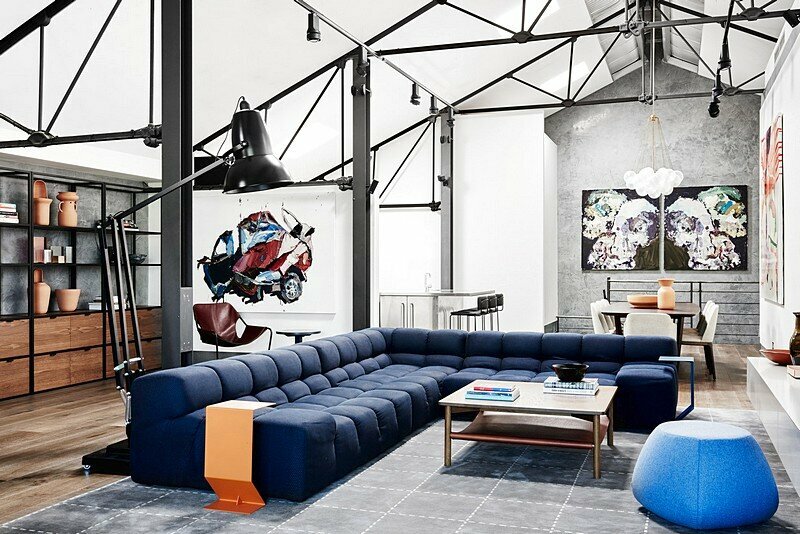 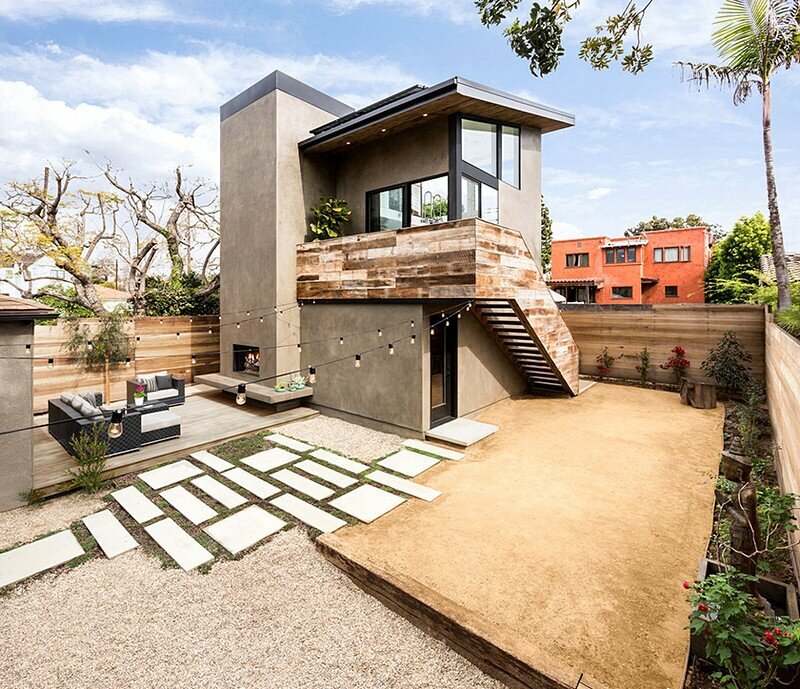 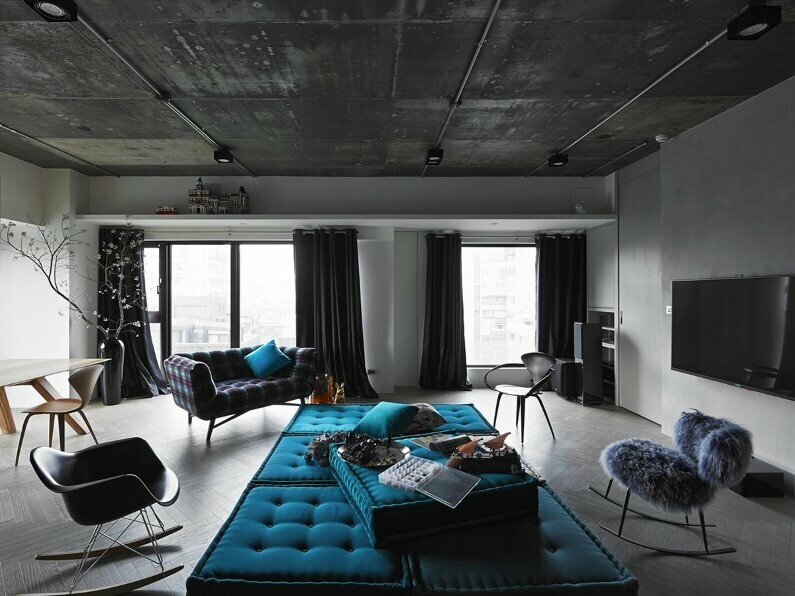 The result is a gallery like interior, which finds the perfect balance between personality and a homely space.